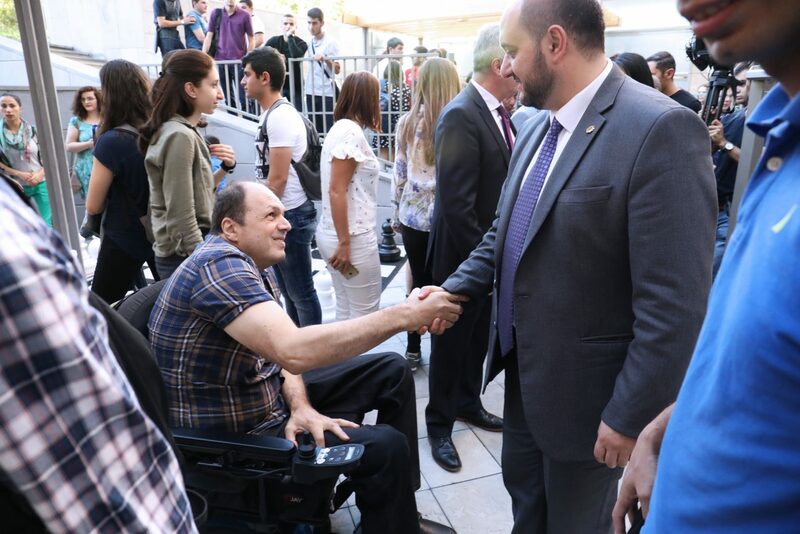 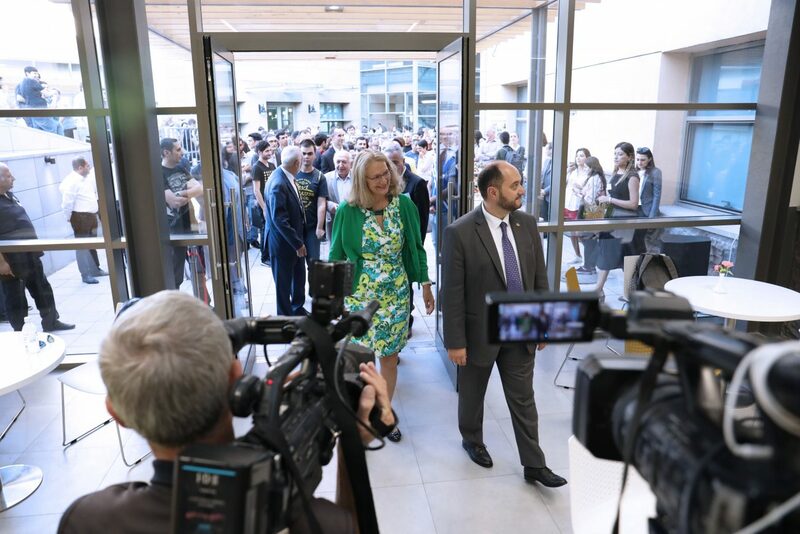 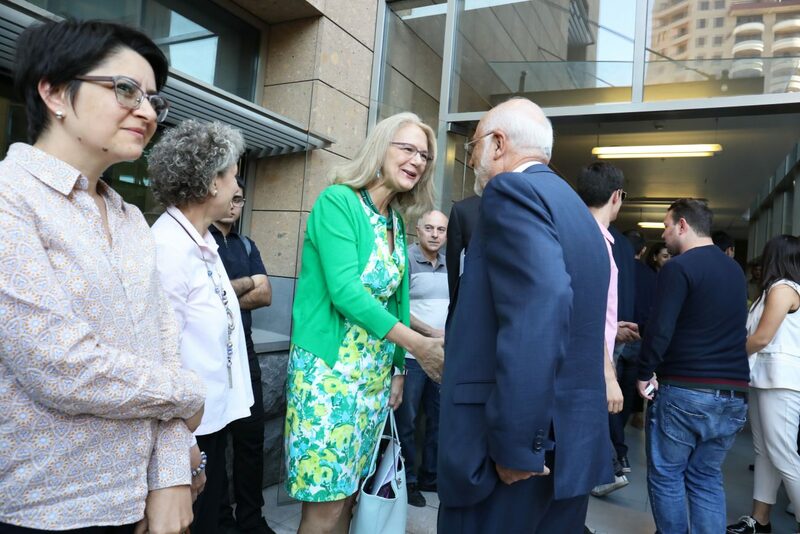 YEREVAN, Armenia – On September 25, 2018, the American University of Armenia (AUA) hosted a ribbon-cutting ceremony that marked the official opening of the newly-constructed AUA Student Union, Faculty Center, and Amphitheater adjacent to the Paramaz Avedisian Building (PAB). 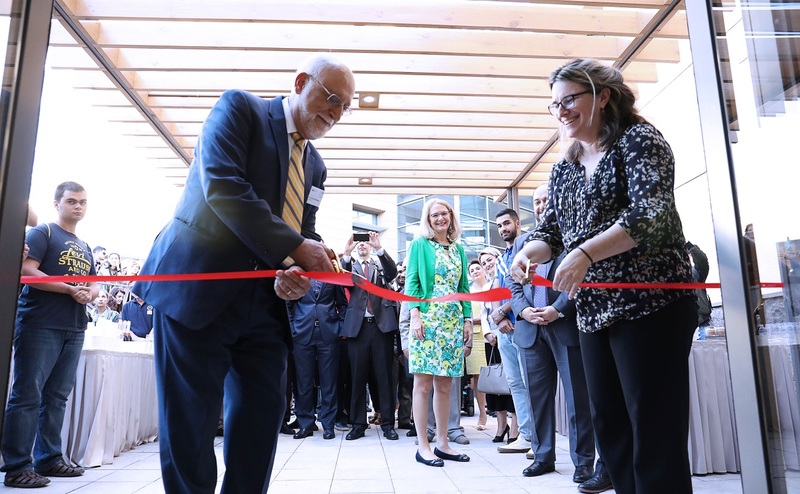 The construction and furnishing of these capital additions to the AUA campus were supported by a $650,000 grant award from the American Schools and Hospitals Abroad Program (ASHA) of the US Agency for International Development (USAID). 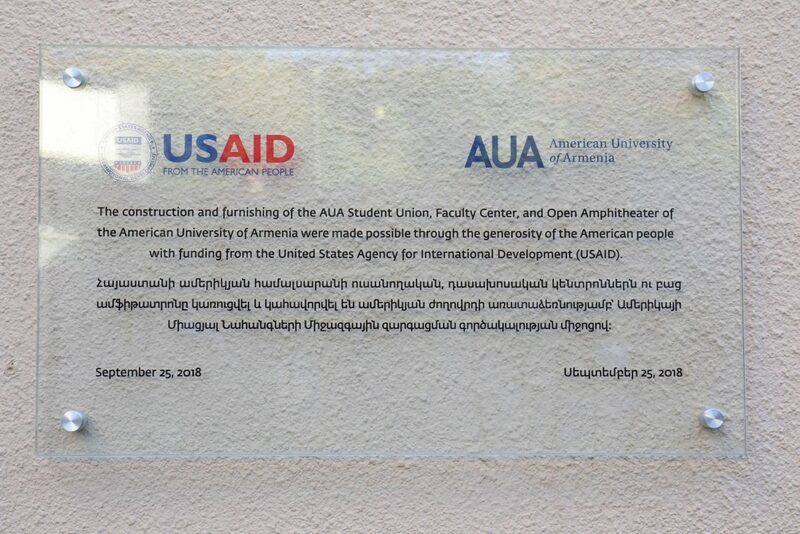 In attendance for the inauguration were the Minister of Science and Education of the Republic of Armenia, Dr. Arayik Harutyunyan, USAID/ASHA Director and Agreement Officer Anne Dix, USAID Armenia Mission Director Deborah Grieser, as well as invited guests from Armenia’s higher education institutions and USAID, project contractors, and members of the AUA community. 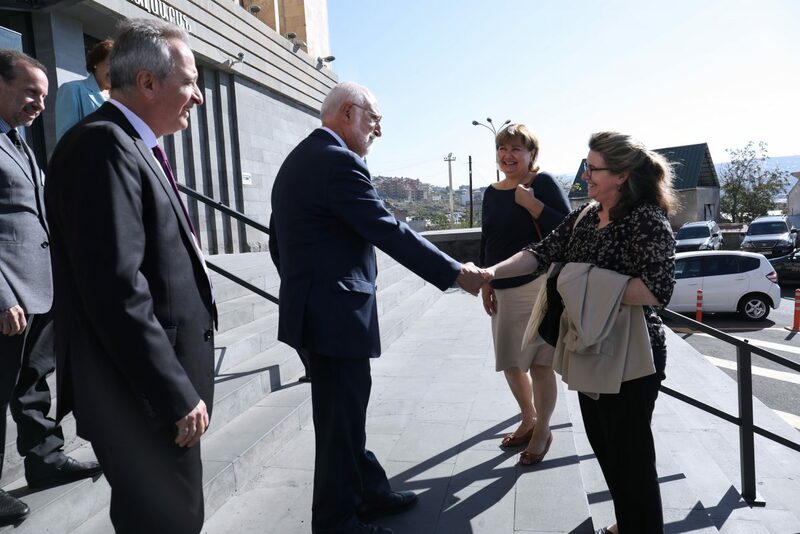 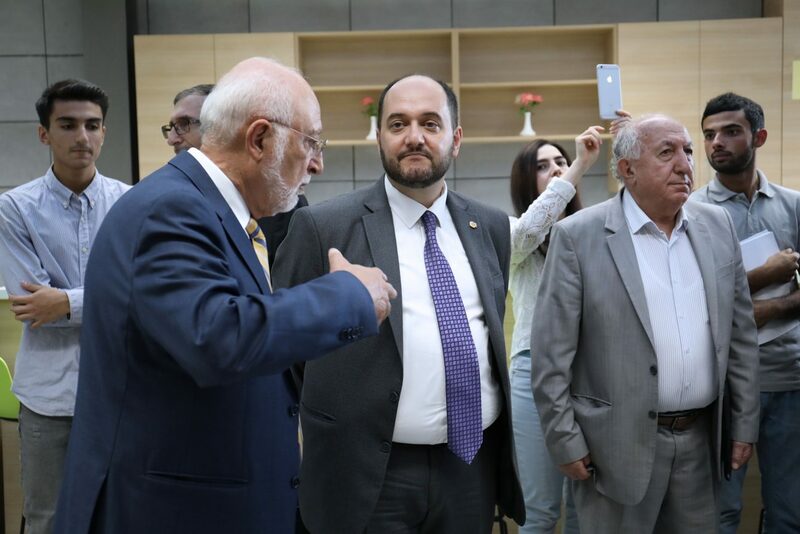 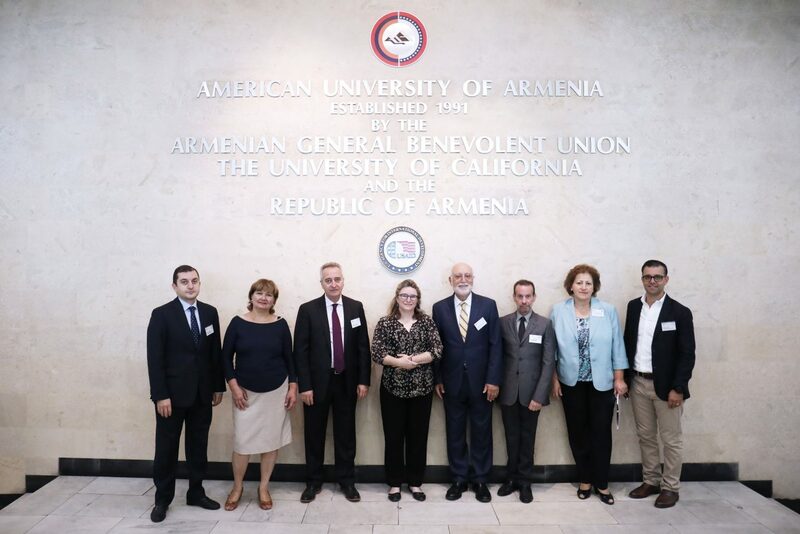 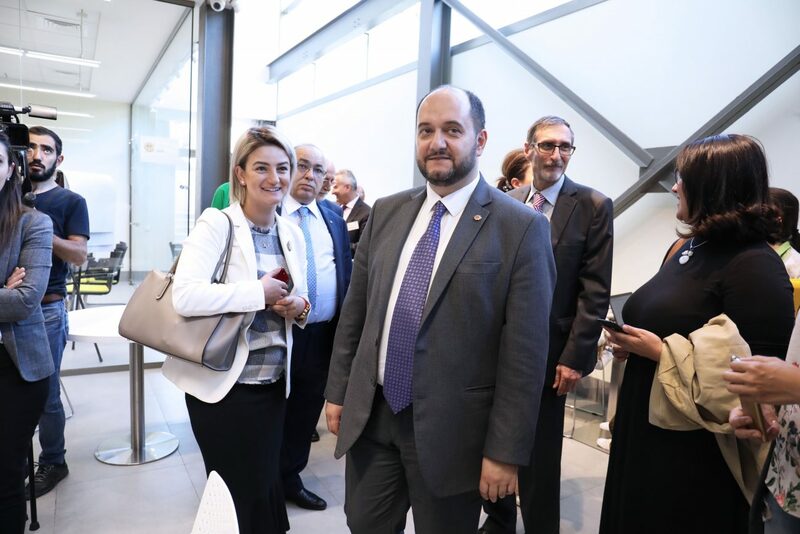 In his congratulatory address Minister Harutyunyan expressed gratitude for the ASHA program for its continuous support of AUA in upgrading the University facilities, as well as for its important investment in the development of higher education in Armenia. 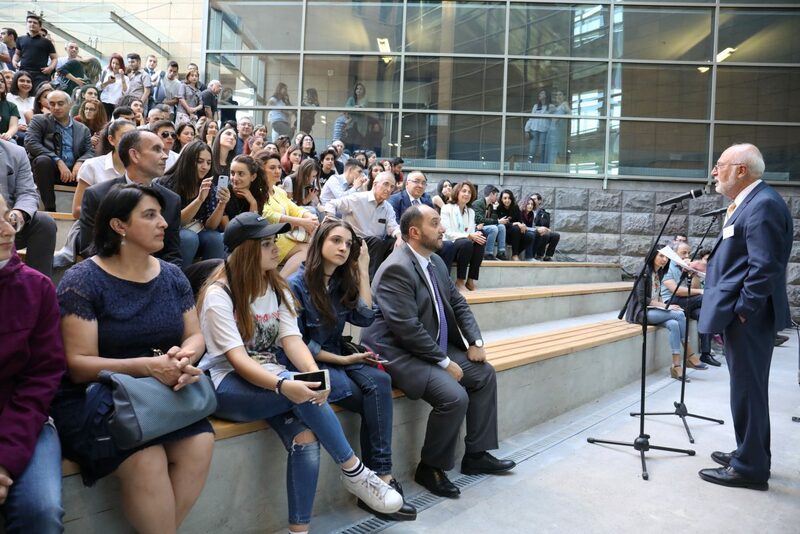 Noting the importance of student involvement in national discussions, the minister expressed readiness to take part in a student debate in the amphitheater to discuss the future educational reforms in the country. 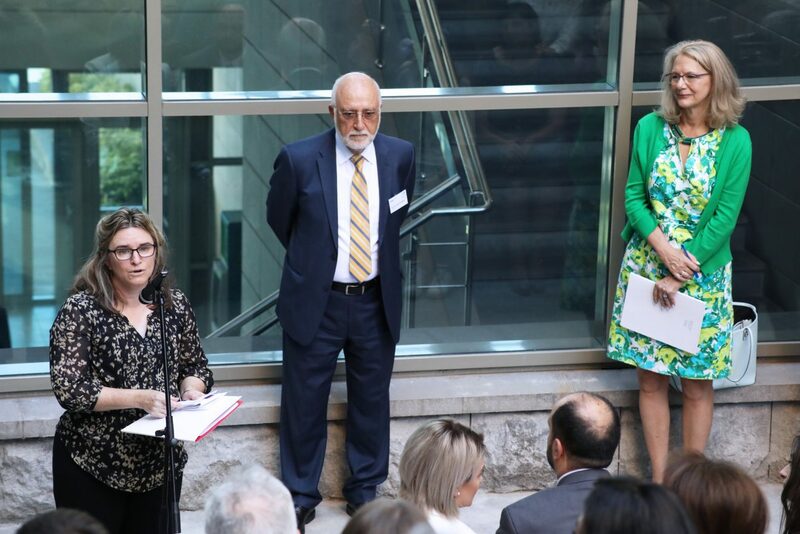 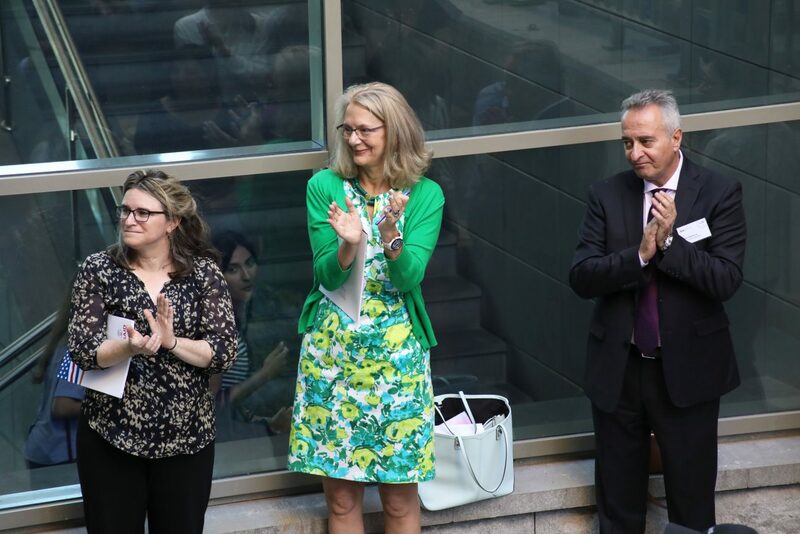 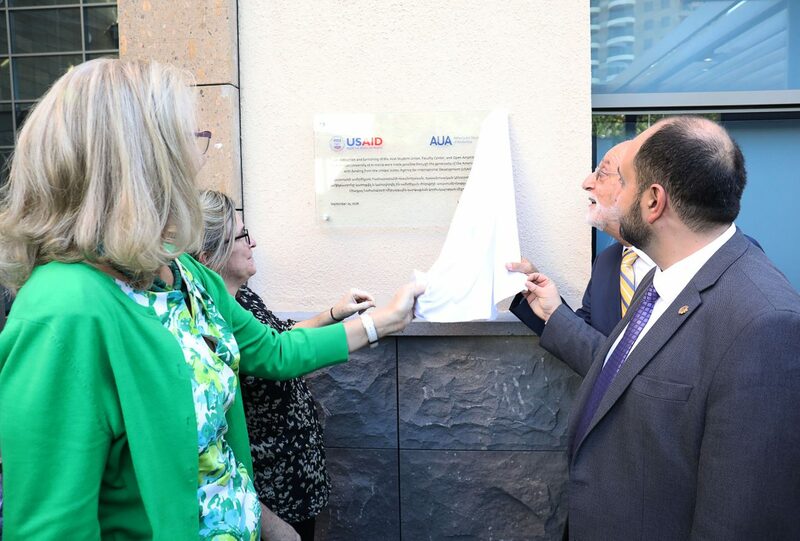 Subsequently, Dix and Dr. Der Kiureghian unveiled the plaque fixed to the PAB exterior wall by the entrance to the Student Union in recognition of the USAID/ASHA support of this capital project, and cut the ribbon. 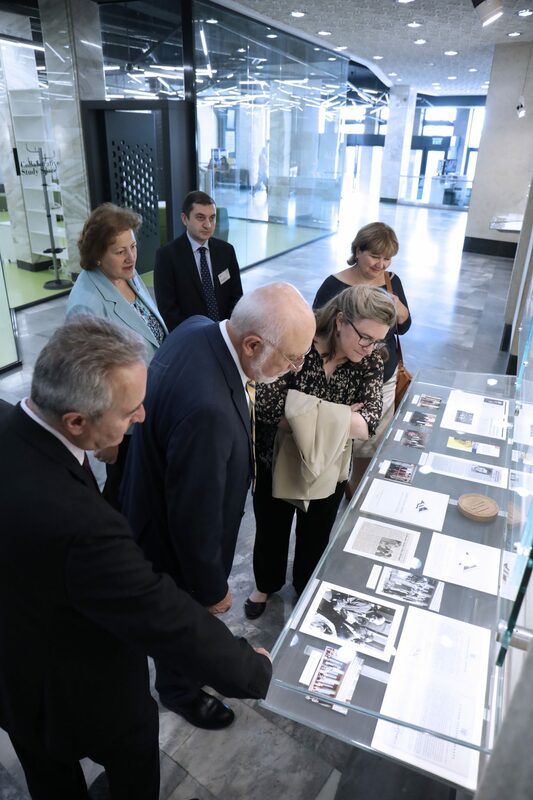 The guests then toured the new facilities. 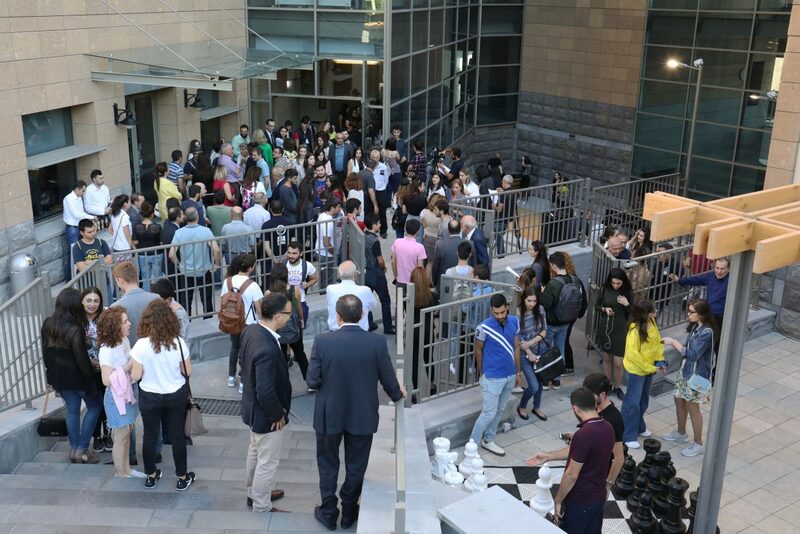 The Student Union provides students with much-needed space where they can collaborate on projects, organize events, or simply relax, network and socialize between classes, enriching their overall educational experience at AUA. 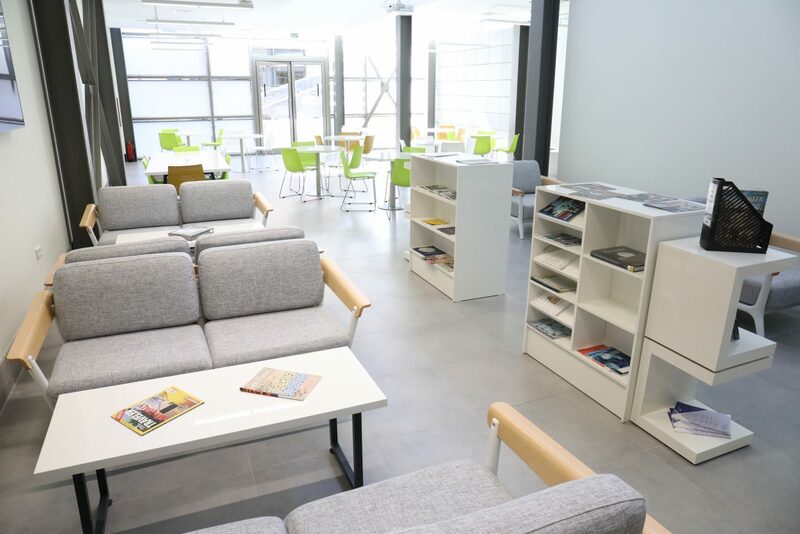 The Student Union is bound to contribute to the vitality of campus life enhancing the social, recreational, and intellectual development of students. 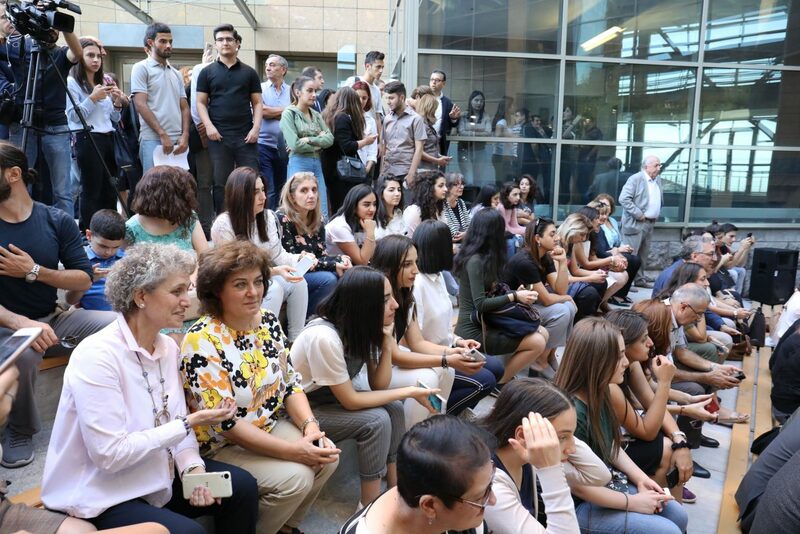 It also will serve as a venue for students from other universities to get acquainted with AUA. 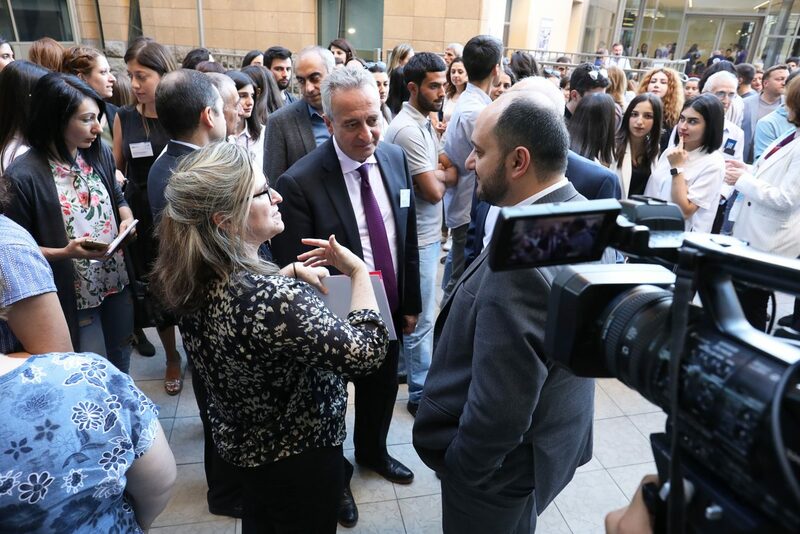 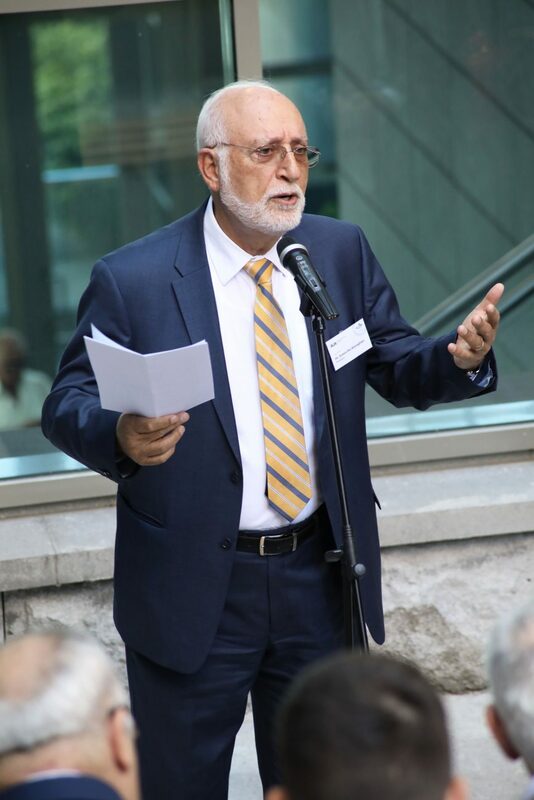 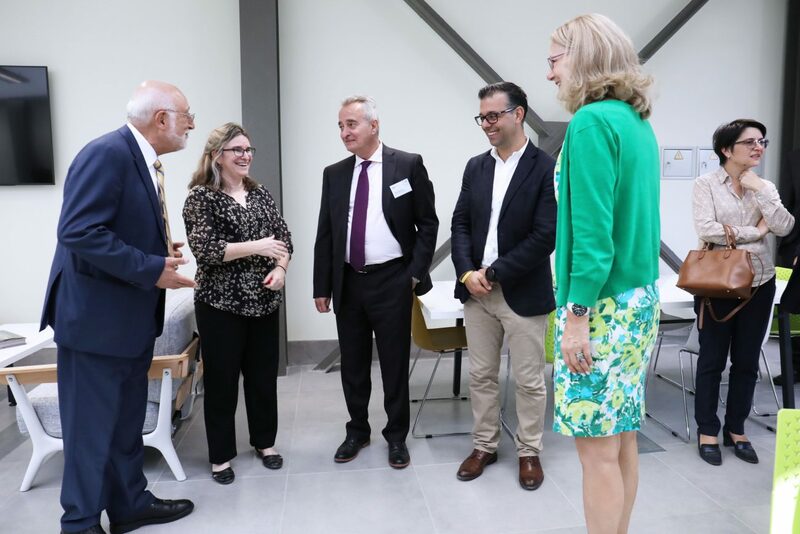 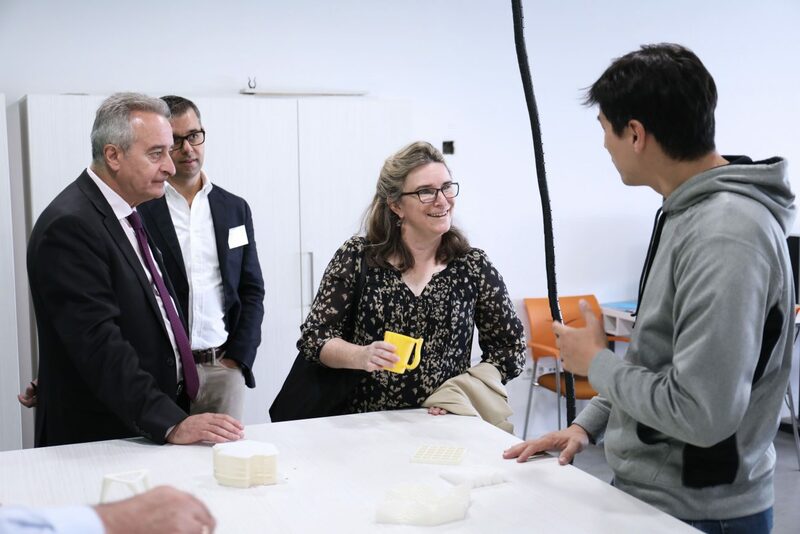 Similarly, the Faculty Center creates a dedicated space for AUA faculty to engage in active interaction, collaboration, discussion and reflection related to their professional development as teachers, scholars and researchers. 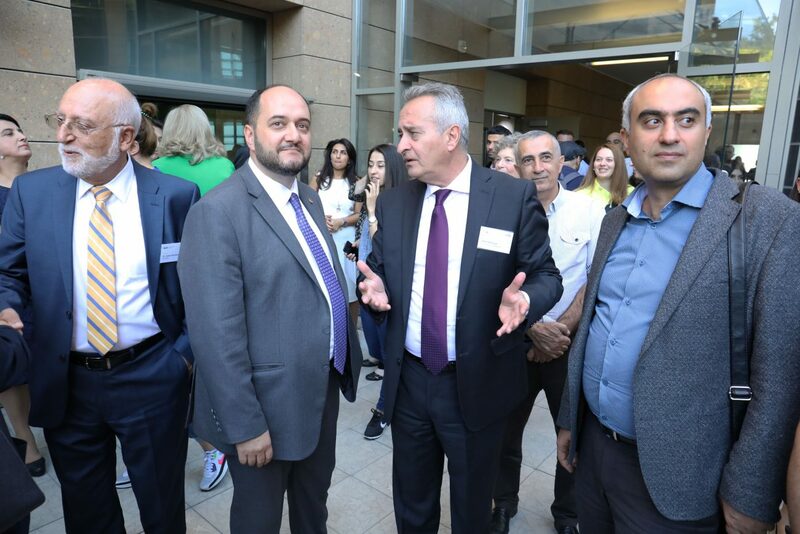 This will stimulate academic discourse and further cultivate a community of scholars at AUA. 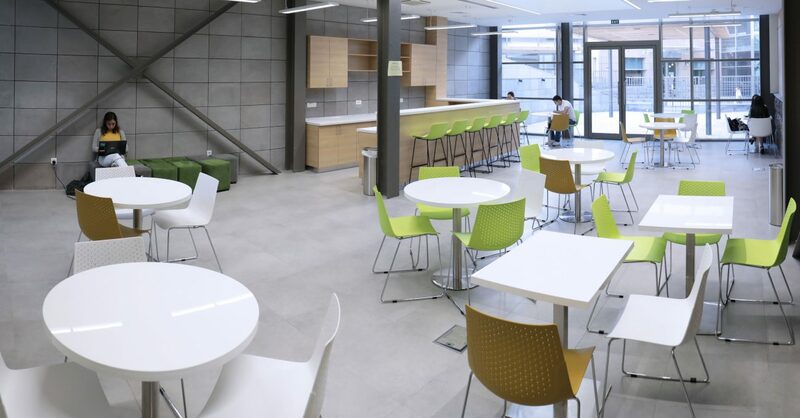 With a 60-seat capacity, the Faculty Center is planned to offer a wide variety of services, including small-group work, academic and social interactions over coffee or lunch, and beyond. 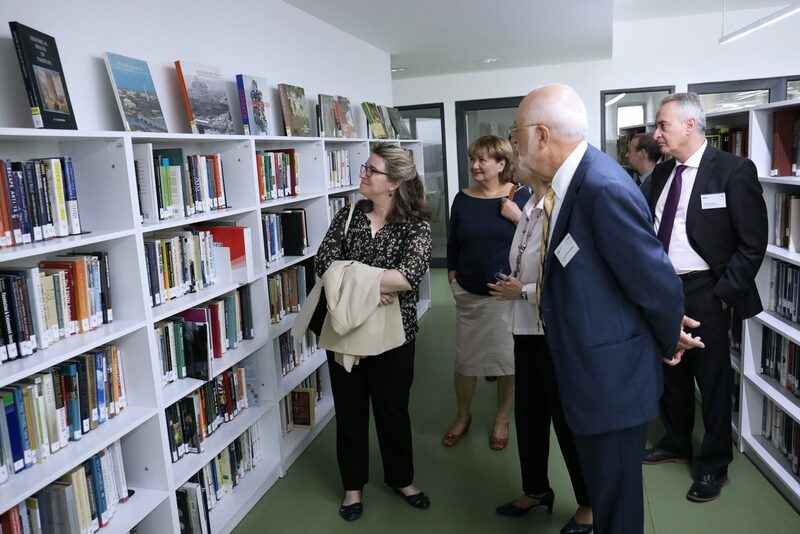 The Center will be available for hosting visiting faculty from other institutions, special guest lecturers, curricular or collegial purposes. 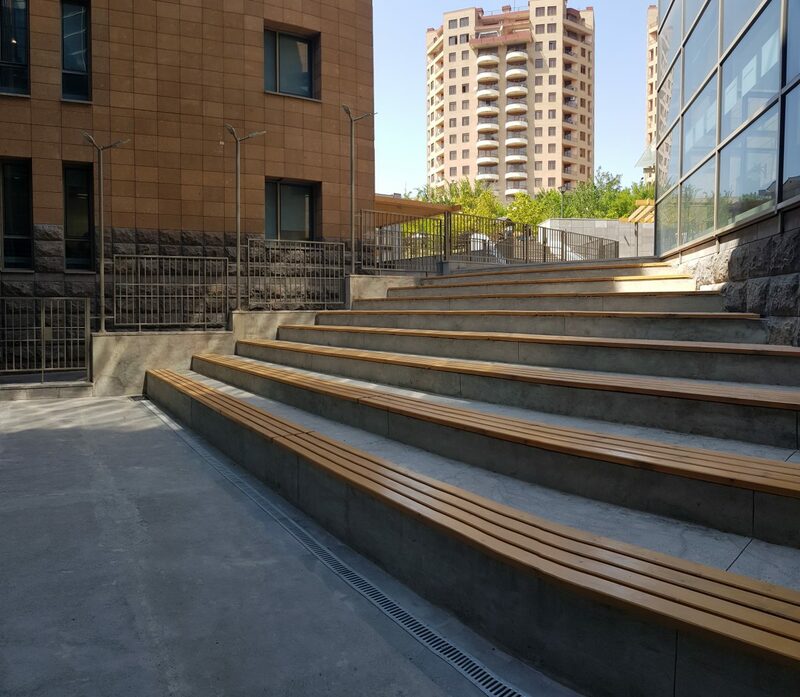 The Amphitheater will serve as a place for a variety of small AUA community and public events. 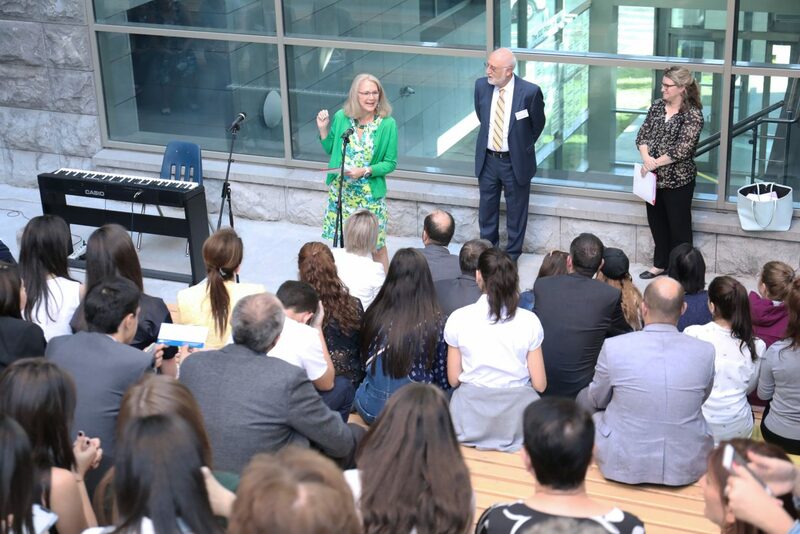 It provides the appropriate forum for debates, discussions, as well as musical and theatrical performances, thereby augmenting AUA’s capacity to further American values through outdoor, highly visible public events. 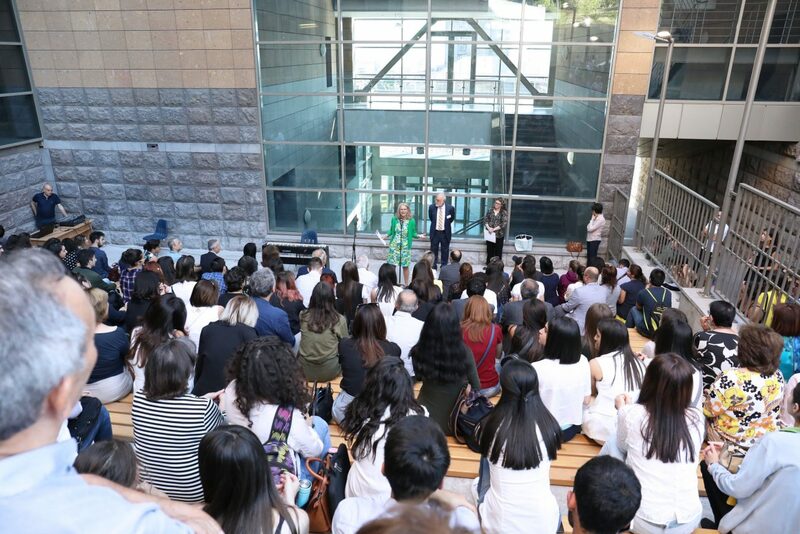 The open concept of the Amphitheater is an expression of the University’s commitment to transparency, openness, and academic freedom. 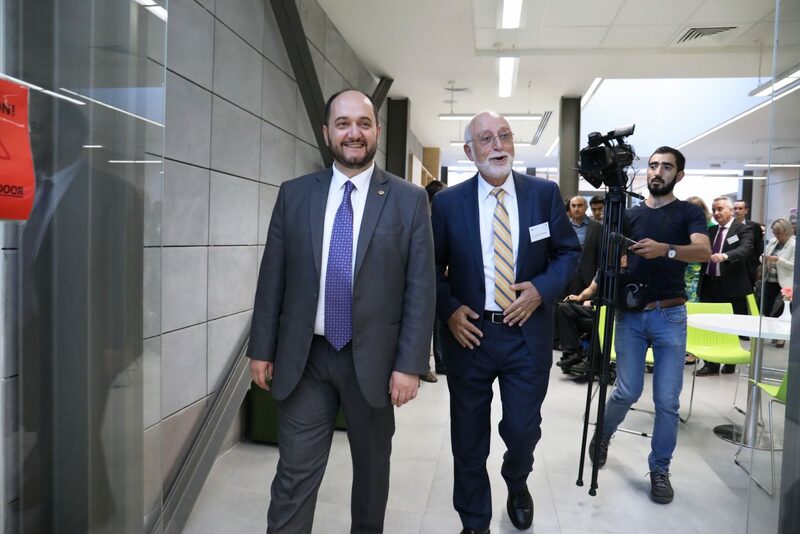 These three new facilities were designed by the Armenia-based NST Architecture Studio congruent to the contemporary PAB design. 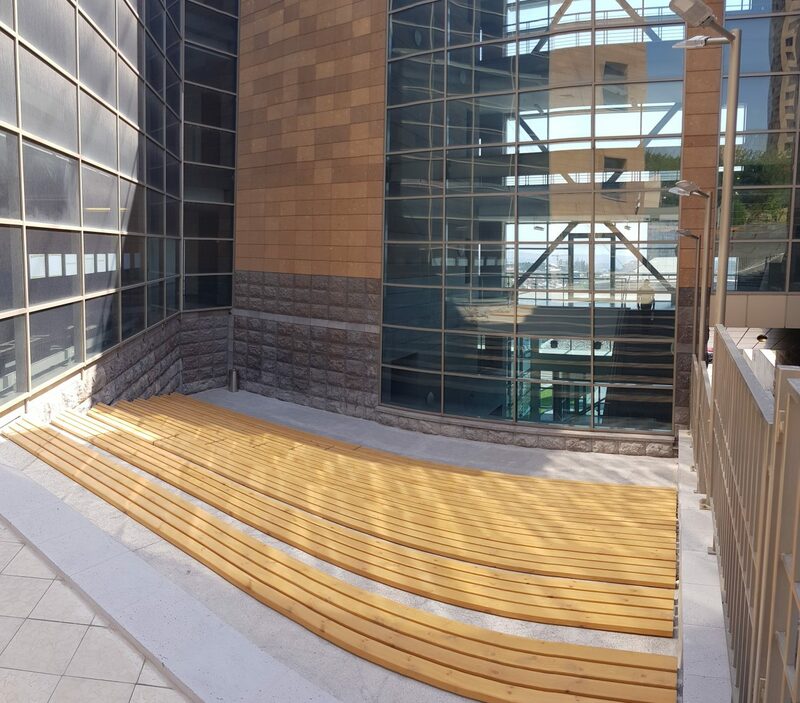 The construction was carried out by Horizon LLC. 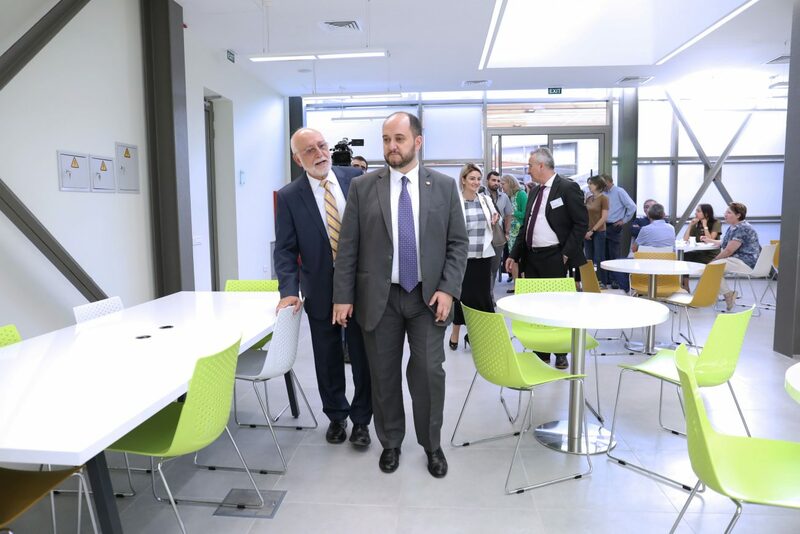 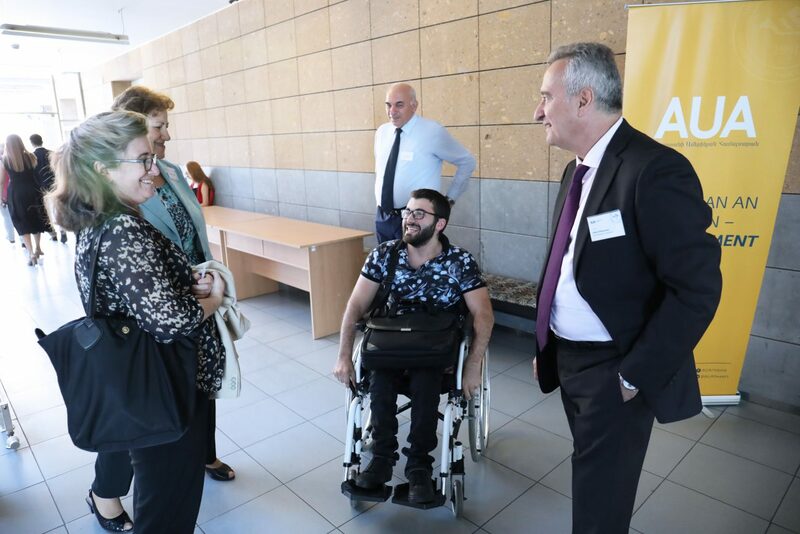 Overall, the expansion has added approximately 450 square meters to the University’s existing facilities. 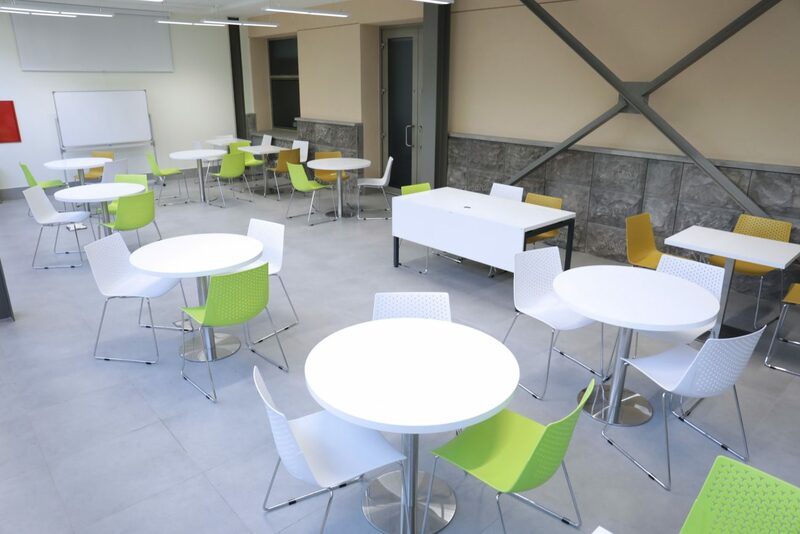 With a seating capacity of 150, the Student Union has desks, chairs, and a coffee corner for serving sandwiches and soft drinks. 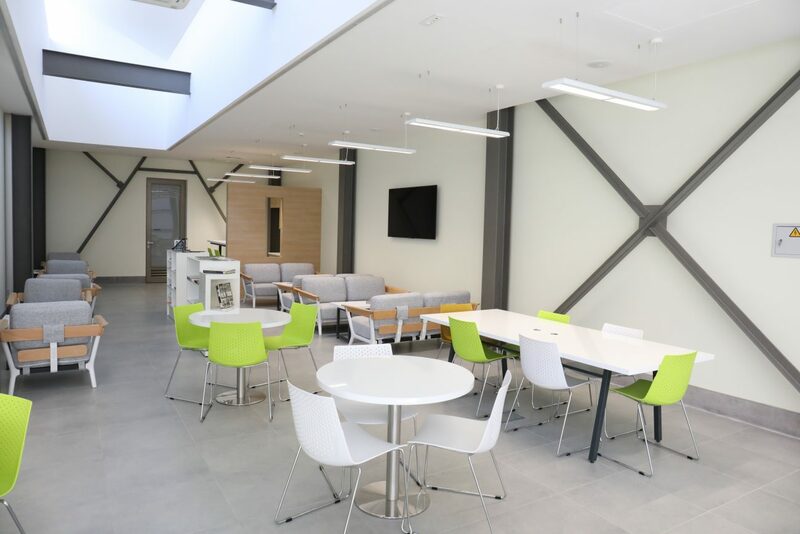 Two 16 square meter interior rooms provide separate spaces for group discussions, student club activities, meetings and rehearsals. 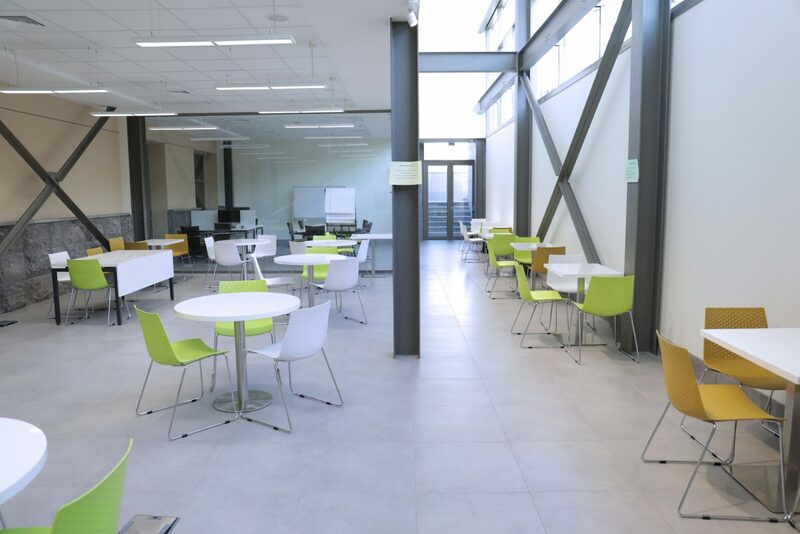 Wireless access and interactive media are available to facilitate learning and enhance social interaction. 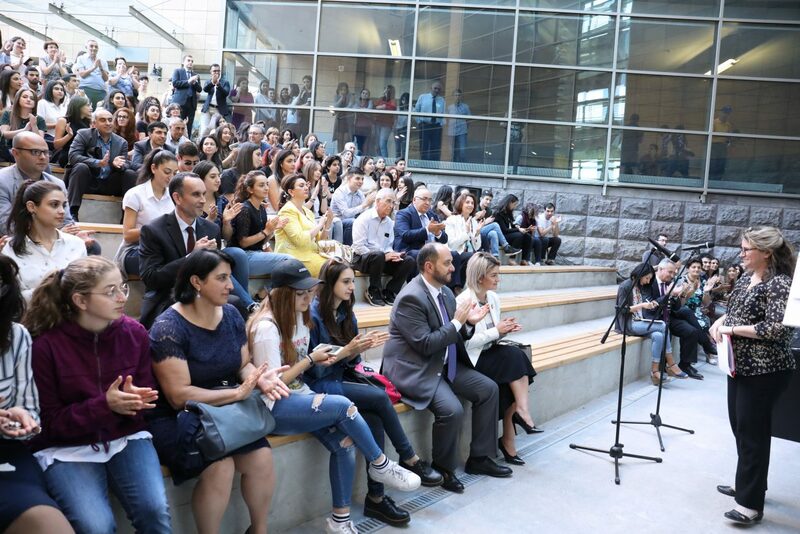 At the end of the ceremony, the guests enjoyed a musical performance in the Amphitheater by the AUA Silhouette Student Club. 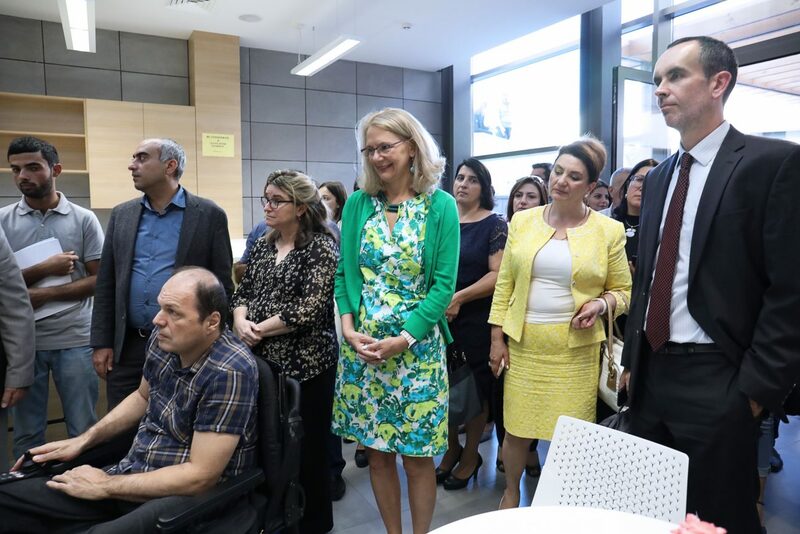 The AUA campus has been renovated and expanded thanks to the recurring support by ASHA over the past years. 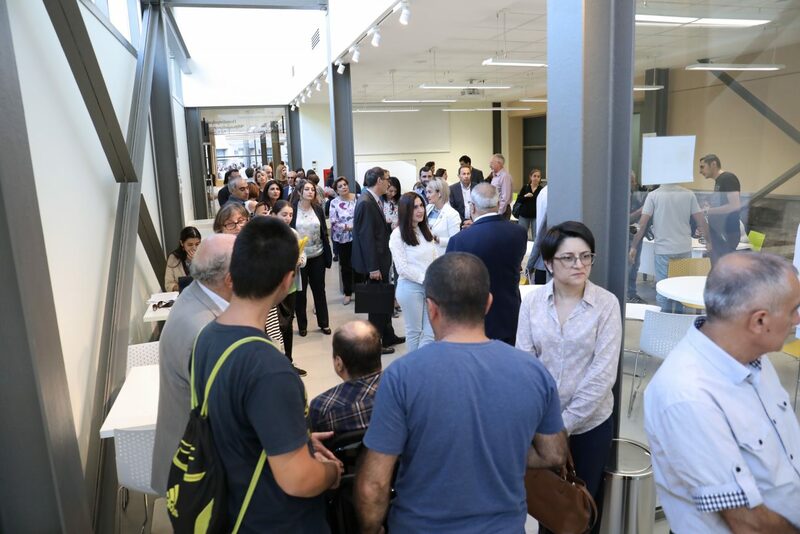 Among the projects realized through ASHA funding are the renovation and expansion of the University’s AGBU Papazian Library and cafeteria; the creation of integrated technology classrooms; the replacement of the elevators in the Main Building; construction of the Entrepreneurship and Product Innovation Center (EPIC) and collaborative study space; renovation of the student computer labs; and much more. 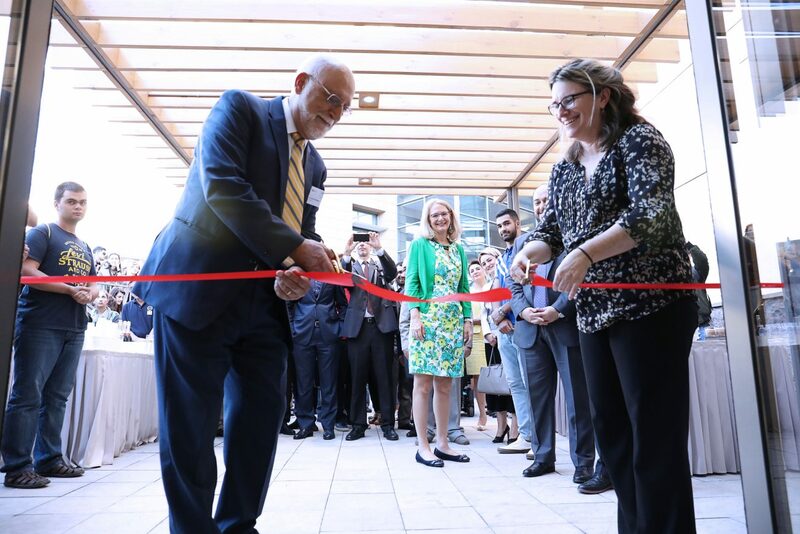 ASHA provides assistance to schools, libraries, and medical centers outside the United States that serve as study and demonstration centers for American ideas and practices. 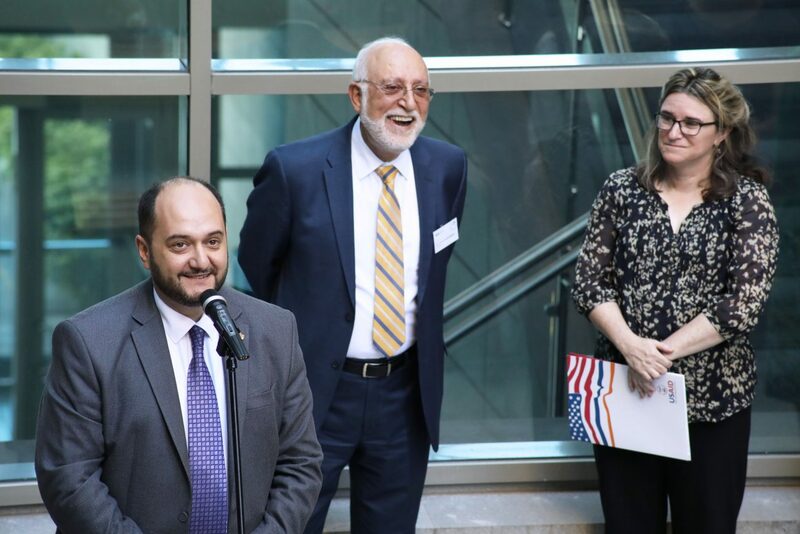 ASHA’s grants help these institutions train future leaders in a wide variety of disciplines, support local and regional infrastructure to foster development, and cultivate positive relationships and mutual understanding among citizens of the United States and other nations.